This month we met to discuss The Abundance by Amit Majmudar, a story about a married Indian immigrant couple and their very American children, struggling to deal with the mother's struggle with cancer. This book received an overall strong positive response from the group. Most found it to be a very enjoyable, and fairly fast read. While it could be very sad at times, the honesty of the book insured that it really hit home, and was very relatable. And the group liked that everything was not neatly resolved at the end, making it feel even more real. 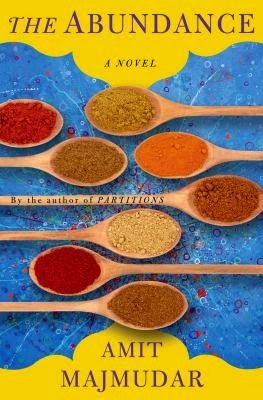 We were especially taken with the mother-daughter relationship, and how they were able to use cooking to heal their relationship. The collecting of the recipes was something we really like, and Katie W. did just this when her kids became adults, so they could have the family flavors as a continuing part of their lives. It was great to see a character (the dad) who did math just for pure enjoyment. But best of all was the pure human qualities that came through, and how well you could relate to the family, even if yours was Mexican American, or pure mutt. While this worked as a foodie book, there wasn't a ton of drool worthy moments. Ghee melting on roti was tasty sounding, and the first feast the mom and daughter made together was mouthwatering. But otherwise the food descriptions were not tantalizing. But perhaps that was part of the tragedy of the mother's illness? Emily - yummy Dal Nirvana! Vanessa - (tika chicken fail - don't cook when you're angry) sag panner, goat, garlic naan from Curries "the best Indian in Snohomish county" - on Casino road. Katie W. – Kulfir - Indian almond pistachio ice cream. 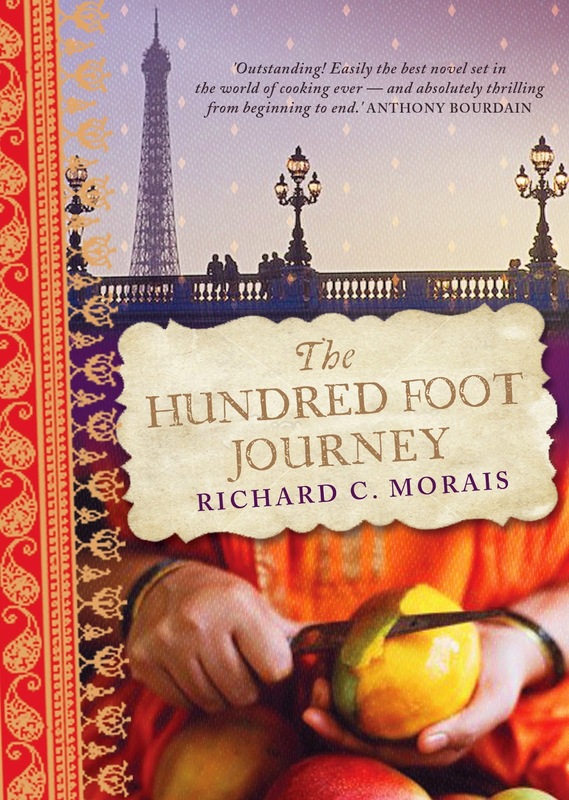 February's book is The Hundred Foot Journey by Richard C. Morais. This book is hugely popular right now due to the movie. Most of our bookclub copies were checked out at the meeting, but I was able to dig up a few more...so if you go soon there should be a few copies left at the Mountlake Terrace Library! Everything was delicious. Thank you ladies. The name of the restaurant on Casino Rd. is Curries, and on Sundays, they have a buffett, from 12-3PM.